Whether or not you think parking is a problem -too little or too much- it is an issue that all cities face. Grand Rapids can learn from precedents set by others as well as lead a progressive initiative to change public perception. For all that differentiates cities, there is much more that makes them similar. The secret ingredient to building a city isn’t gleaming skyscrapers, vibrant sidewalks or screeching subways: it’s people. The aforementioned, and other tools involved in city building, are simply mechanisms man has created to make a patch of earth hold more people, enable them to enjoy a sunny afternoon with a glass of Chardonnay in hand and connect to other people and places. In most cases, the places we build for people have (warning: Planning jargon ahead!) accessory uses that accompany the primary use or function of a building. These uses vent cooking fumes, store automobiles, house our refuse until collection day and much more. While they are not the reason we build, they are an essential part of building – as this stuff has to go somewhere. Architects and planners are finding novel ways to overcome challenges associated with accessory uses, as the impacts that accessory uses present to other people can be undesired. Examples include Greensboro, NC, whose business improvement district has invested in shared dumpsters that reduce the proliferation of odoriferous, unsightly dumpsters downtown, to mixed-use buildings that vent cooking exhaust through the building to the roof, rather than allowing food preparation emissions to permeate through the patios of downtown dwellers. The process of managing parking has yielded some encouraging best practices and other innovations that can yield important insights about balancing the desire to build a people-scaled downtown, while accommodating the needs for those whom choose to come and go by car. From a talent attraction and retention perspective, this dynamic is heightened when we factor in the mobility preferences of young adults. The generations that we are working to attract and retain are speaking through action, which begs planners’ need to reconcile with the evolving needs of the people who will inherit the decisions, and thus the city, we are making today. The separation between the preferences of today and tomorrow can feel expansive, but we sit at the precipice of opportunity to bridge that divide and develop a meaningful strategy to guide these types of transitions for our community. Parking is a topic that has the ability to evoke strong reactions. 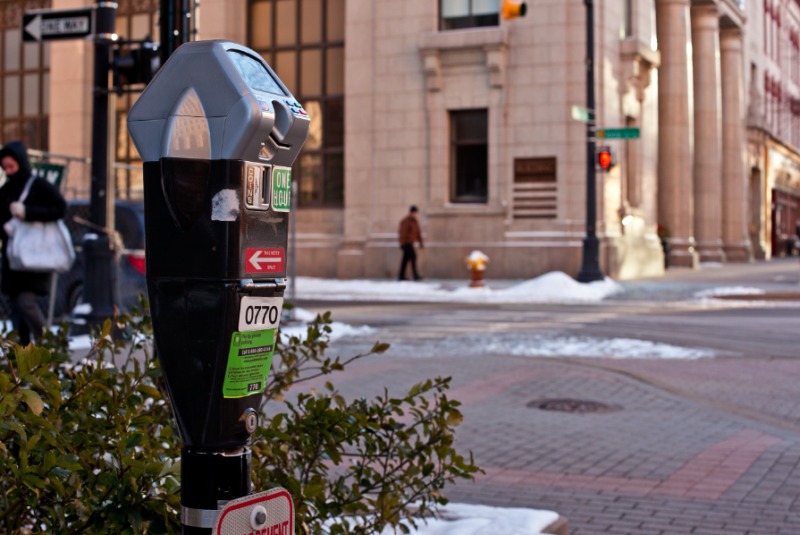 In growing communities like downtown Grand Rapids, this is a topic that can engender conflicts between stakeholders who have different preferences for their mobility needs, and form, location and pricing of parking. The comments section following almost any MLive article on the topic showcases the voracity by which some people will espouse their preferences and opinions. The potential for these conflicts underscores the importance of robust community conversation that encourages constructive dialog within a comprehensive context, such that a collective understanding of the interrelationship between city-building topics are understood and decisions are made together. Every city thinks they have a parking problem. Said more accurately, there are people in every city that believe their city has a parking problem. Even transit-rich New York City regularly finds itself embattled in a constant cycle of heated dialog on parking-related issues and corresponding interventions. As an aid to grappling with the scale of a problem versus the volume of the complaints, Italian economist Vilfredo Pareto’s “80/20” rule is useful. Pareto’s hypothesis spawned from a 1906 analysis of land ownership in Italy that demonstrated that 80% of land area in Italy was owned by 20% of the population. The derivative application, for everything from personal relationship management to commercial sales strategies, shows that 80% of outcomes are the result of 20% of inputs. Those that are closest, or most affected, or happen to be in favor of a particular outcome will often dominate the provision of inputs- and thus, influence the outcomes. For good reason, the vocal minority becomes a key influencer of the general perception about the extent of the problem. Generally, everyone wants the same thing when it comes to parking: they want it readily available, directly outside of their destination and they want it for as close to free as possible. These three expectations produce a paradoxical arena of competing expectations in an urban environment, where land scarcity enables pricing pressures that push land uses to require higher intensity people-space. There just isn’t enough physical land in an urban setting to give people all three. Land is valuable, areas for parking generally don’t lend themselves to alternative uses and drivers compete for those choicely located spaces. 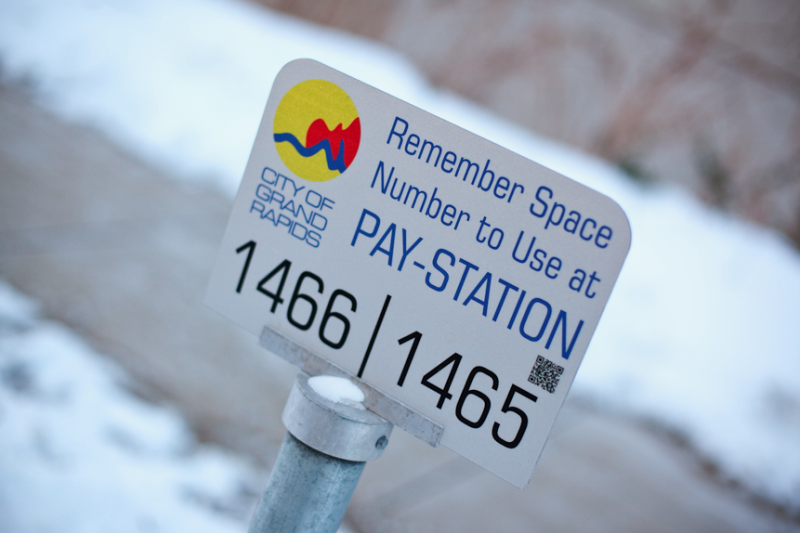 To that end, we are continually challenged by the need to manage the sliding scales of cost, convenience and abundance when it comes to parking. These three expectations form the holy trinity of parking dogma. People want all three, but basic rule of supply and demand limit us to choosing only two. There’s the rub. Where exactly did this set of conflicting expectations arise? The reputation surrounding parking in downtown areas is often cited as a competitive disadvantage. Since the advent of the automobile, cities around the world have faced inevitable conflicts associated with land use and scale. Given the analogs for parking at airports or shopping malls, it is understandable that users make conscious, often vocal comparisons between parking experiences. Parking is invariably a part of the decision-making process surrounding shopping and entertainment, and in other cases, at least a consideration in where we live, work or worship. The suburbanization of America created a new standard for accommodating cars, and a half century of the public support of infrastructure, fuel attainment and now even automobile production have created a systemic dependency on vehicular travel as the basis by which all other forms of mobility are compared. That said, parking doesn’t have to be a sore subject. There are principles and approaches that when married with a decision on which two of the trinity a community chooses to prioritize, can become the backbone of a effectively managed parking management strategy. When sound strategies are implemented effectively, the perceptions of parking in a downtown can change. Below are a set of guiding principles that I’ve learned along the way. 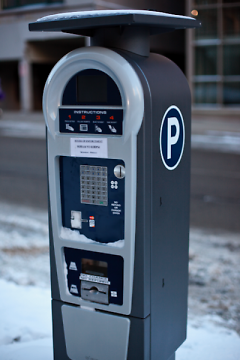 On the surface, parking management revolves around the efficient storage of cars. However, parking is not simply the act of temporarily storing cars. It is in fact more about addressing the needs of people at the transition from the vehicular to the pedestrian experience. Under this principle, issues such as facility cleanliness, safety, lighting, wayfinding and customer service move to the forefront. In most cases, parking is the first and last experience by patrons visiting downtown. Despite enjoying a fabulous evening of dining and entertainment, their entire impression of downtown can be irreversibly marred by offensive parking experiences such as unexpected costs, real or perceived feelings of being unsafe or the inability to find their car. Like the first principle, this philosophy focuses on the experience of downtown maintaining primary focus, whereby the process of parking is so mundane that it becomes an afterthought. Unfortunately, achieving that forgettable experience requires a high level of service to ensure that issues such as the perception of safety, availability, clear pricing methodology and other experience-determining issues are aligned with consumer expectation so that they do not become a defining moment in the downtown experience. Parking, while an important support function and critical infrastructure element, is not the reason that people visit downtown. Downtown visits are generated by worthwhile destinations and experiences such as dining, shopping and other special attractions. Even the best-run systems with well-designed facilities do not attract people, however: poorly run operations or dysfunctional facilities can definitely be excuses for people to not come downtown. The fundamental message here is to eliminate parking as a reason not to come downtown, which should equate to greater utilization of the system and lead to greater revenue collection, increased sales by downtown businesses and lead to overall improvement in the revenues collected – therein evoking a virtuous cycle. With regards to a particular cost structure, the price charged for parking should reflect a market rate that will create turnover in the spaces. To determine the right price, the management organization needs only to look to the spaces. If there are no open spaces, the price is too low. If there plenty of available spaces, the price is too high. A well-tiered pricing strategy that reinforces the value of proximity also helps to encourage more price sensitive parkers to seek out cheaper, less conspicuous parking options such as those a few blocks further from major activity centers and those in parking ramps. The system also provides an extra benefit by directing customers with the greatest willingness to pay for parking, and deductively goods or services, to the equivalent of the merchants’ doorstep. There are of course additional solutions on the demand side of the parking equation, such as encouraging businesses that provide a parking benefit to allow their employees to cash out the benefit to use it for transit passes, or by allowing them to keep the cash as an incentive to walk to work, bike or carpool. By creating an incentive for utilizing alternative forms of transportation, employers can band together to reduce the number of single-occupancy commuters and thus the demand for additional parking structures. That, of course, also decreases the demand on our roadway networks, leaving travel lanes open to those who choose to hold firmly onto their steering wheel. In the upcoming Downtown Plan process, we expect to further delve into opportunities for better understanding the role of parking as a component of a more mobile, accessible Downtown Grand Rapids. We believe that such an open goal and supporting policy development process will provide stakeholders with a meaningful opportunity to mitigate perception-inducing frustrations surrounding parking. Working with the City of Grand Rapids and our recently appointed project Steering Committee, Downtown Grand Rapids Inc. is a proud strategic partner in helping to convene this upcoming community conversation about how to position parking management to better serve the land use and mobility needs for the community at large. We hope you will choose to share your thoughts about what this means for the future of our community, and be a part of the upcoming planning effort that will ideally include more than just Pareto’s 20 percent of any opinion. This will be an opportunity to shape our community together.